Within Teamwork Projects, you can add risks for anything which may affect the outcome of the project. 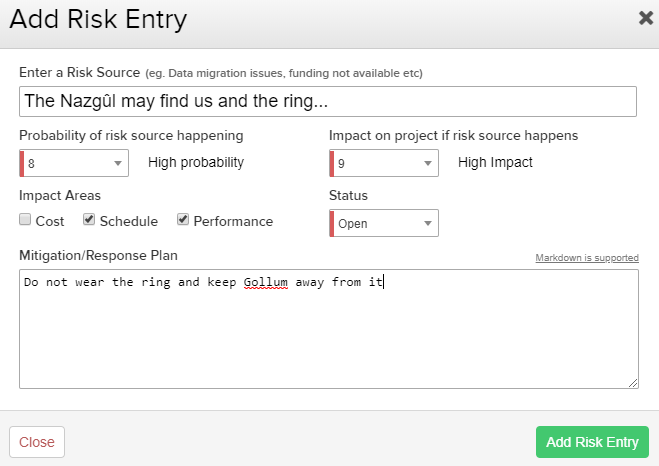 To add a risk entry, select the Risks section from the top of the project. To the top right of the page, select Add Risk Entry. You will then be able to to enter your risk details. Risk source: What the risk affecting the project is. Mitigation/Response plan: A mitigation/response plan details. 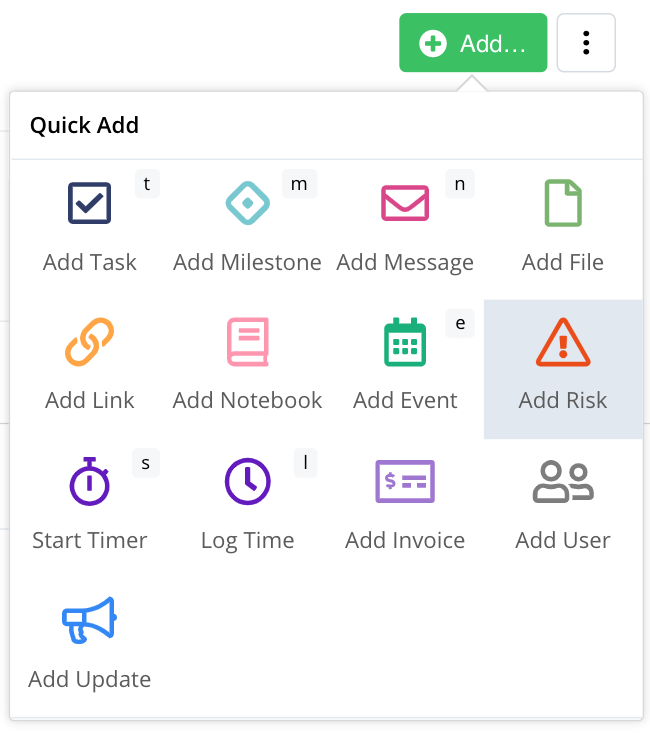 You can also add risks via the Add... option in the project's Overview tab.